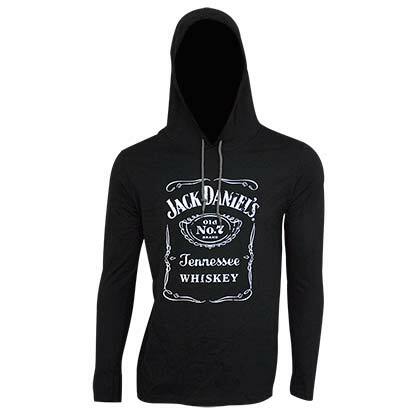 Officially licensed men's long sleeve tee with hood featuring the classic Jack Daniel's logo design on the front. Slim fit runs small in the shoulders and arms. 100% cotton. "Got my goods in a very timely fashion and delivered just as expected. The product is great!"